Where You... ﻿Just﻿... Stay﻿.﻿.. Home? Reduce or Eliminate Your Fear of Flying TODAY! The Fear of Flying is Just Gripping, Isn't it? Realize, this has NOTHING to do with how smart you are or your background. 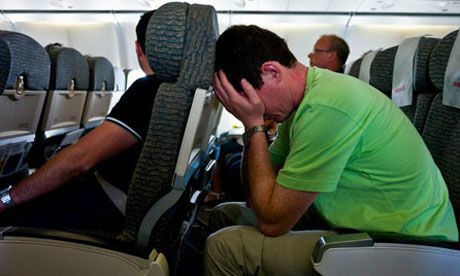 The Fear of Flying doesn't mean ﻿you﻿ have any psychological problems! ﻿ All it means that it's stopping you from what you want or NEED to do. "And... I Can FIX it!" — Bryan Toder, "The No Fear Guy"
Hello! My name is Bryan Toder. They call me The No Fear Guy and my expertise is helping people — just like YOU — get over their fears. ...﻿but﻿, it also keeps you totally GROUNDED! ​Vacations are agony! And the ANTICIPATION of the trip just paralyzes you, doesn't it? Because I have literally helped thousands of clients — many of them with the fear of flying — who are now leading "normal" lives... FEARLESSLY! This amazing 2-Audio program will allow you to reduce your stress and allow you to travel on a plane — without the paralyzing fear! ... your wonderful vacations are RUINED because you dread about the flight — before AND after your trip! (Have you wrecked your entire trip because you know you need to get back on that plane..?! ... the fear of flying could impact your job or career. ... it's EMBARRASSING to you and your family. ... you KNOW it's just ridiculous! Isn't it? And you just want to ﻿take﻿ plane trips like, well... everyone..?! 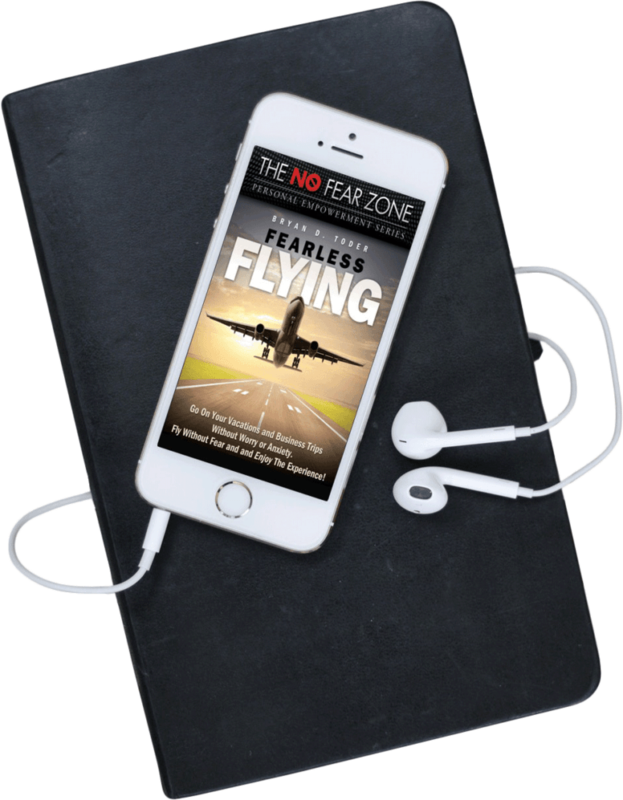 The interesting thing about the fear of flying is more about the feeling of being "out of control" in the plane or the feeling of "trapped" or your safety or any other things. This amazing audio will allow you to relax — and without the "panic feeling". Start traveling again! Listening t﻿his audio program will help you change your beliefs and feeling about traveling — so you actually ENJOY traveling... ﻿﻿﻿even on a plane! These are professionally-produced hypnosis programs — the same programs used in hypnotist Bryan Toder’s office — containing positive, verbal suggestions and deeply hypnotic background music to reduce your stress and allow you to get on a plane and enjoy your trip — without the paralyzing fear! So many of our clients are terrified of flying. Their trips are ruined and they could just WISH they could fix this! If your travels are a nightmare, you can become a fearless flyer with this program. The fear of flying is terrible. That fear is gripping you and keeping you from your goals and dreams. And, those fearful thoughts before you travel—weeks (or even months!) before your trip—are keeping you from that better life you deserve! The world is an amazing place and when you are stuck home—grounded, if you will—your entire life is contained in just that small space you call home. That’s okay, if you are satisfied with that. ...this amazing 2-audio program will allow you to have the comfort you need to plan your trip and enjoy it before and during your trip! Get instant access to Fearless Flying now! "I was deathly afraid of flying. I couldn't even LOOK at an airplane without being terrified at the thought of flying! We couldn't travel ANYWHERE...... I now can travel FEARLESSLY!" "The best way to ruin a great family trip is worrying weeks before the trip and DURING the entire trip. All day long I was afraid of the flight back home. The crying, the worrying... for NOTHING! "Until I listened to recordings like these... and now I like traveling. Thank you!" This is about taking back your life and be able to be in airplanes and closed spaces! Go on that vacation!